At HollyDELL School, technology is an exciting way for our students to engage in activities for both fun and learning. The Occupational Therapy Department is thrilled to have the TAPit®, a new and innovative technology to provide our students with more opportunities for success. The TAPit® (Touch Accessible Platform for Interactive Technology) is a 42″ LCD monitor that is powered by a laptop computer. One feature, “intended touch,” recognizes the difference between purposeful or “intended touch” and accidental or nonintentional screen activations. For example, an arm or hand resting on the screen will not activate the TAPit®. Many of our students at HollyDELL have difficulty with refined or controlled movements of their arms and hands, making the use of a standard or touchscreen computer a challenge. The TAPit®’s “intended touch” technology has given many of these students the opportunity to be successful in accessing a computer with more independence. Because the screen is a shatter-resistant safety glass, has a low-glare screen, and it’s the same type of screen as used by the military, it resists marks and scratches allowing even our more active students to safely participate in computer activities. 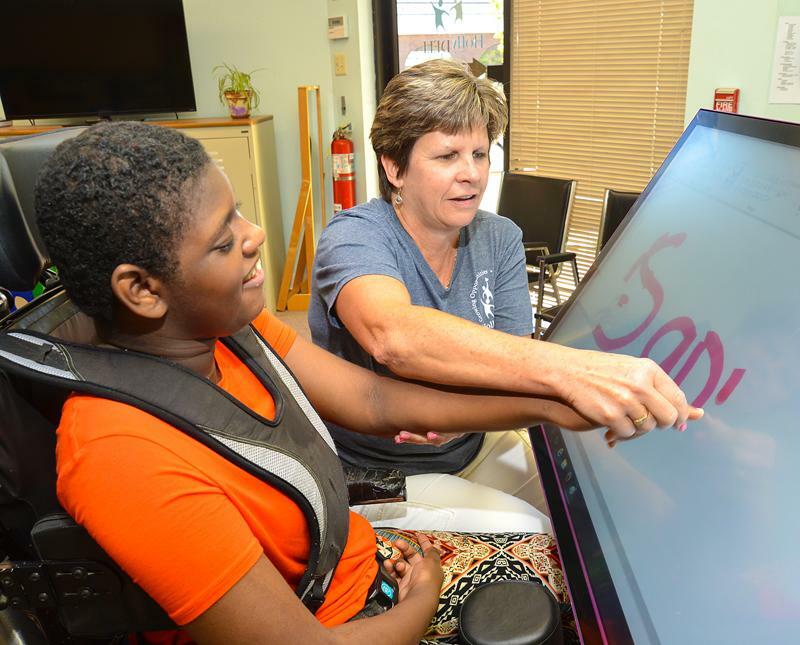 TAPit® works with all of our educational and adapted software programs that are currently being used by the classrooms and therapy departments here at HollyDELL. It also supports the use of a mouse, the use of adapted switches for scanning or cause/effect programs and the use of on-screen keyboards or voice recognition for typing. It virtually does everything our computers do but in a bigger, better way. It offers a multi-sensory experience for the students because of its larger size and versatility. They can see it, feel it and hear it better. The larger size screen allows for more than one student at a time to work on the TAPit®, encouraging socialization, communication and turn-taking. One of the reasons we love the TAPit® is that it is accessible to all of our students. With the press of button the screen can be raised, lowered or tilted at various angles to meet our individual students’ needs. The versatility in the adjustments of the screen allow it to be positioned to encourage reaching as well as pointing, crossing midline, and even weight-bearing on one arm while using the other, thanks to its “intended touch” technology. Visual motor and/or perceptual motor skills are being addressed in all activities as well. The students can kneel, stand, be positioned in a stander or walker, sit in a classroom chair or wheelchair, or be positioned on the floor, a bolster or therapy ball. A variety of therapy goals and objectives can be incorporated while the students are engaged in activities using the TAPit®. Because it is on wheels, it can be easily moved so that it can be used in a variety of settings in the school environment including all therapy rooms, classrooms and even outside if needed. 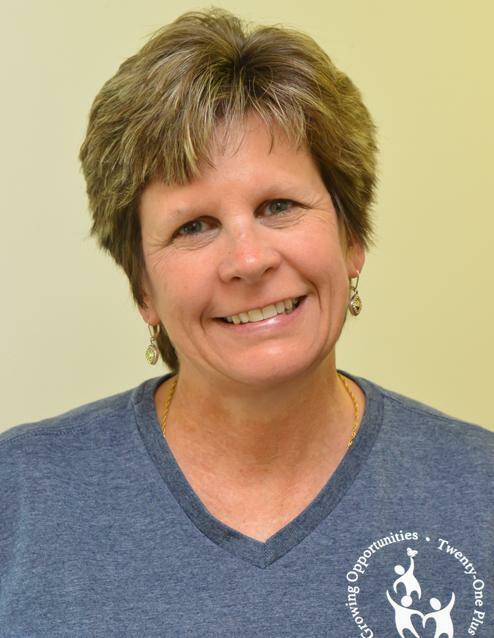 Kathleen Cherico, OTR/L, graduated from Temple University’s College of Allied Health Professions in 1984 with a Bachelor of Science Degree in Occupational Therapy. She is a state-licensed occupational therapist in New Jersey and is certified by the state of New Jersey as a School Occupational Therapist. Kathleen began working as an occupational therapist in a pediatric hospital in the Child Development Program, spent a brief period of time working for a private pediatric consulting agency, and then worked for 5 years in a hospital setting in acute care, rehab and burn care. In 1992, she began working at HollyDELL School, known at the time as the Cerebral Palsy Center. For over 25 years Kathleen has worked with developmentally disabled children and young adults. Her passion is working with the students in the area of assistive technology, watching them learn and have fun while independently engaging in activities. She continues to attend various professional conferences and workshops to stay up to date in the latest technology advances and has received a Continuing Education Certification in Assistive Technology. Kathleen lives in Washington Township, NJ with her husband and son, a dog and cat. She has two daughters who are grown and now live on their own. In her spare time, she enjoys spending time with family and friends and traveling.